It can be confusing to understand how much water you need to drink. Ask ten different people, and you will get ten different answers on how much water you need. 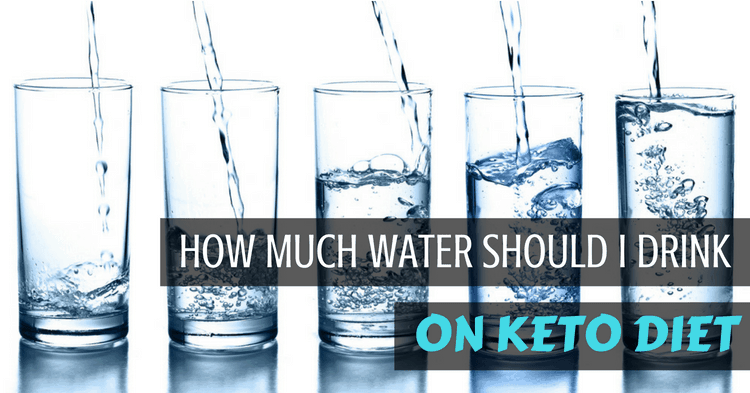 While following a ketosis diet, a safe bet is to opt for more water than less. A good rule of thumb is to drink at least half your body weight in ounces in water per day. As an example, if someone weighs 140 lbs, they should drink 75 ounces of water. Not drinking enough water will stall your weight loss. Water is essential for our body and not only keeps you hydrated but also keeps your stomach full, reducing snack carvings. Also, water also plays a big role when you are on a Keto diet as it helps you to lose a substantial amount of weight. 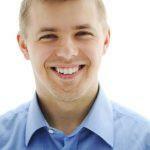 When you are on a Keto diet, your body holds less water than when you are on a high carb diet. Glycogen (carbohydrates) is stored in your muscles using water. A reduction in carbs reduces how much water your body retains. Without carbohydrates to hold water, your body goes through water faster. While in Keto you need to replace as much water as possible to keep yourself hydrated. Water also helps your body promote proper digestion of high-fat meals and aids in regulating the kidneys more efficiently. How Much Water Should You Drink on Keto? According to scientific research, it is recommended that people opting for Keto should opt for a minimum of 64 ounces of water daily. In fact, 11 glasses of water per day for women and 16 glasses for men are highly recommended. However, this rule does not apply to everyone. Water intake may vary from person to person according to a person’s body mass, athletic performance, lifestyle, age, and gender, etc. Also, living in a cold or hot region also affects your water intake as a person living in a warmer region would tend to sweat more and therefore lose more water than a person living in a colder climate. If you are unsure about how much water exactly you should be drinking, then you can always use the recommendations above as a starting point. Drinking more water than the requirement has little potential to cause harm. How Does Water Help Prevent Dehydration When on a Keto Diet? As mentioned earlier in the article, water works as a storage unit for carbohydrates (glycogen). The body store three grams of water for every one gram of glycogen. When the body starts losing stored carbohydrates; as a result, you may lose minerals responsible for regulating a few processes in the body including muscle contraction, cardiac and body temperature regulation, and energy generation. The most likely nutrients you may lose on a Keto diet are potassium, sodium, magnesium, and calcium. It is possible to experience what is known as “Keto Flu” if you do not keep up with the hydration for your body. If you are experiencing Keto Flu, you may have general symptoms such as dizziness, weakness, cramps, constipation, headaches, and palpitations. These symptoms are a cue that your body is not adequately hydrated. To prevent Keto Flu, follow the water guidelines, and make sure as you are eating plenty of dark leafy green vegetables. Vegetables that are dark in color are high in magnesium, calcium, potassium. Adding a pinch of salt to your water helps to maintain the electrolytes in your body.